Jarasandha, the mighty King of Magadha, was feared by everybody, including the almighty Lord Krishna. Jarasandha planned to offer one hundred Kings as human sacrifice to his Lord. He had captured eighty-six of them and was in the process of capturing fourteen more to complete his mission. 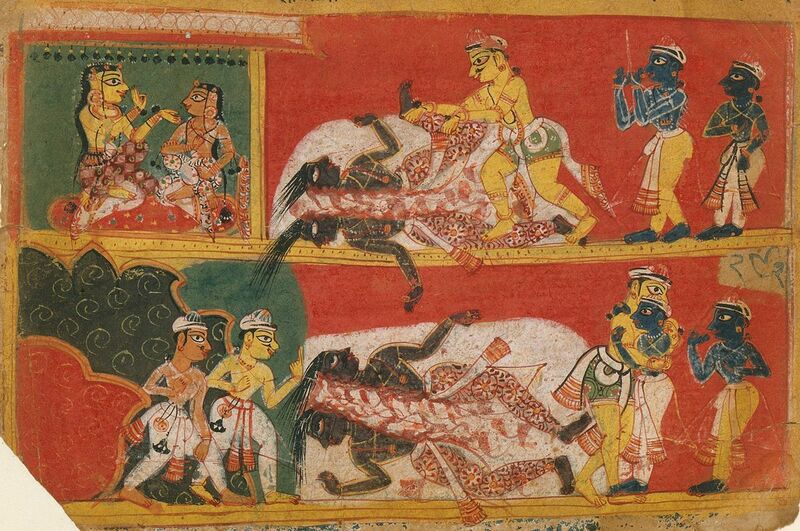 Krishna takes Bheema and Arjuna with him to Magadha to kill Jarasandha and release the captive kings. After killing Jarasandha, the Pandava brothers begin their conquest of the land of Bharata to win the allegiance of the Kings. Soon all the Pandavas eliminate all obstacles for the Rajasuya sacrifice and begin to prepare for the great ceremony. Listen to this action filled episode by clicking the player below. Also join our facebook page for the latest updates. Subscribe to our iTunes podcast.